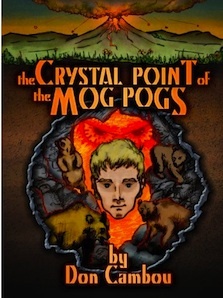 Don Cambou - "The Crystal Point of the Mog Pogs": Don Cambou - "The Crystal Point of the Mog Pogs"
Don Cambou - "The Crystal Point of the Mog Pogs"
Don Cambou is well known for his years of television production work. His debut novel is the first in a trilogy suitable for ages 14 to 114. He is in the studio to talk about the book and his career.